The best choice if you are travelling with a group is a mixed dorm with a shared bathroom. If you prefer a dorm with 4 beds and shared bathroom, this is perfect for you. 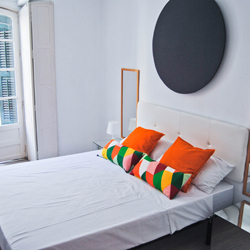 Malaga City Hostel we offer 6-bed female rooms with shared bathroom. This shared room has 6 beds and shared bathroom. The deluxe room gives you a bonus of space and comfort. It is a very spacious room with double bed and a shared bathroom. If you want more privacy, we offer our room with 2 single beds or a double bed, shared bathroom and interior window. The deluxe room with balcony gives you a bonus of space and comfort. 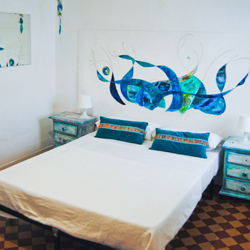 It is a very spacious room with double bed, balcony with a shared bathroom.